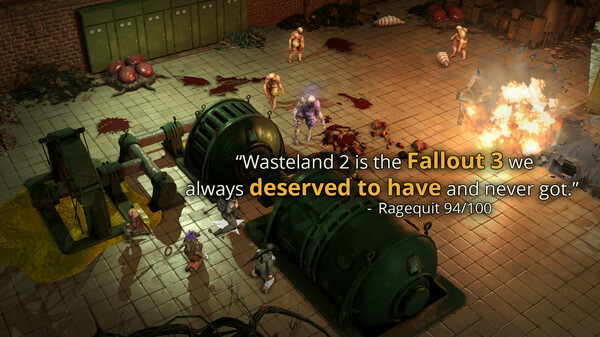 The Wasteland´s hellish landscape is waiting for you to make your mark... or die trying. 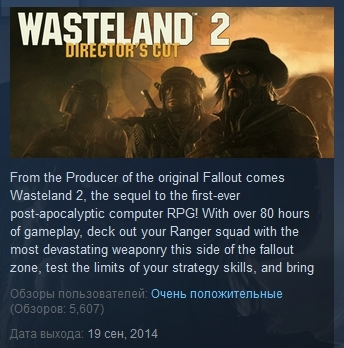 With over 80 hours of gameplay, you will deck out your Desert Ranger squad with the most devastating weaponry this side of the fallout zone, test the limits of your strategy skills, and bring justice to the wasteland. ★ One Size Does Not Fit All: Don´t feel like finding the key for a door? Pick the lock, bash it down with your boot, or just blow it open! 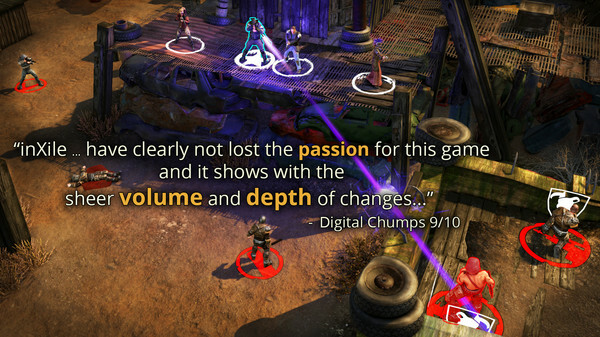 ★ Decision Making... with Consequences: With both short and long term reactivity, your choices ripple outwards, changing the game´s events and forever altering the lives of those in the wasteland. ★ Huge & Customizable: Hundreds of characters. Thousands of variations on your Rangers´ appearance. Over 150 weapons. No two players will have the same experience. 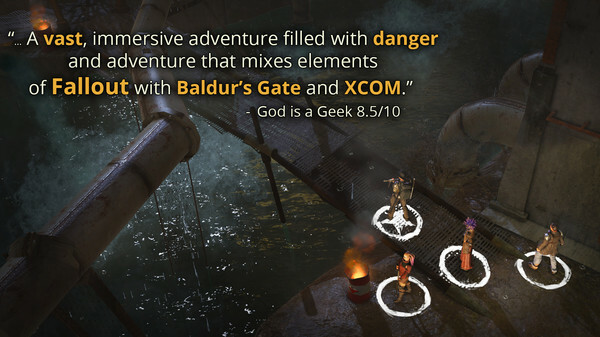 ★ Steam Features: Wasteland 2 supports Cloud Saving so you can sync your saves across multiple computers! 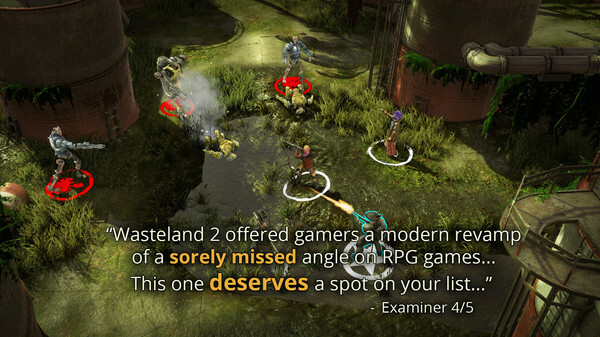 ★ Complete Graphics Overhaul: Rebuilt in Unity 5, Wasteland 2´s environments and characters have been updated to take advantage of the latest graphics technologies. ★ Perks &: Quirks: Customize your squad even more! Perks & Quirks are special personality traits you can use to give your characters even more life, with their own unique bonuses... and drawbacks. ★ Precision Strikes: Fire on your enemies and debilitate them with tactical attacks! 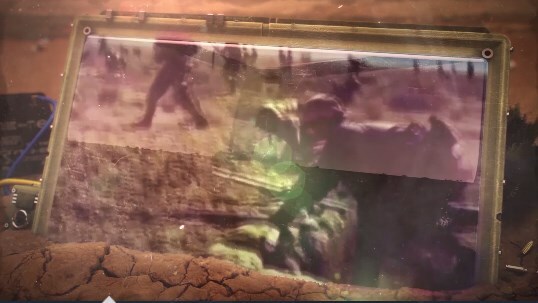 Cripple a leg to slow an enemy down, fire on their gun to blast it to bits, or aim for the head to knock them senseless – or blow it clean off. 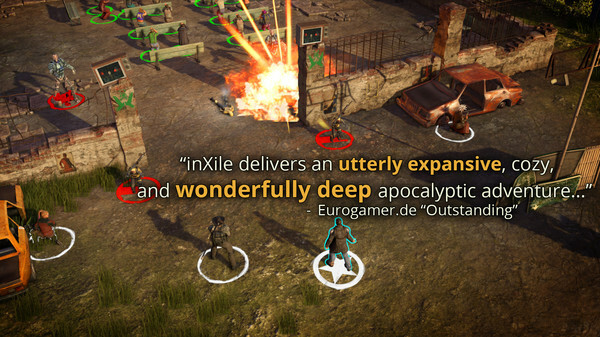 ★ Expanded Voice Over: Over 8,000 lines of new voice-over dialog have been added for the game´s characters and companions, bringing the Wasteland to life like never before.